ICTFC had the most liked content! The match v Dunfermline, due to be played on 17th February, has now been rescheduled for Tuesday 6th March with a 7:45pm Kick Off. Due to the weather forecast overnight tonight and early tomorrow, ICTFC have made preliminary arrangements for a pitch inspection to be carried out at 8am. We will advise/update at the earliest opportunity. The ground has passed it's midday pitch inspection and will go ahead as scheduled. 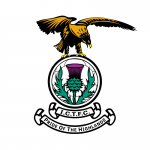 ICTFC.com Preview http://ictfc.com/news/team-news/2117-dundee-preview-home-scottish-cup-replay-30-01-19 Reminder that there's a pitch inspection at midday tomorrow. There will be a pitch inspection at midday tomorrow (Tuesday) ahead of our William Hill Scottish Cup replay versus Dundee at the Tulloch Caledonian Stadium. The game has passed it's midday pitch inspection and will go ahead as scheduled.